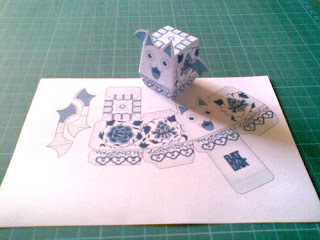 Just complete this Boxy Bat with China design. Malaysia and Singapore is a multiracial country, we get influences from different cultures. I hope that the little bat can have many different design that can represent the place where we grown up and lives. Thanks~ I'm thinking to create more designs based on others culture that found in Singapore or Malaysia. anyway where can we buy this?